About us – Qualiko. Good for your family! 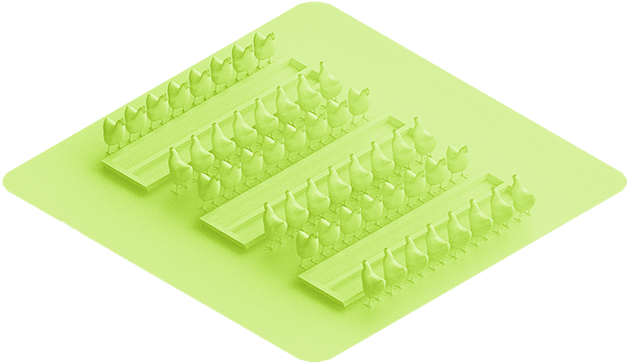 Myronivsky Hliboproduct (MHP) is one of the world’s most vertically integrated companies that ensures in-depth control over the whole chain of poultry production. Vertical integration allows us to guarantee consistent quality standards of our products and full quality control. 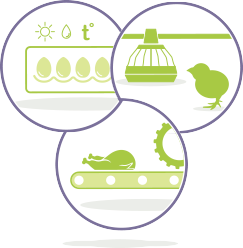 MHP owns and operates each of the key stages of its chicken production process. Since 2008, MHP’s shares have been listed on the London Stock Exchange under the ticker symbol MHPC. 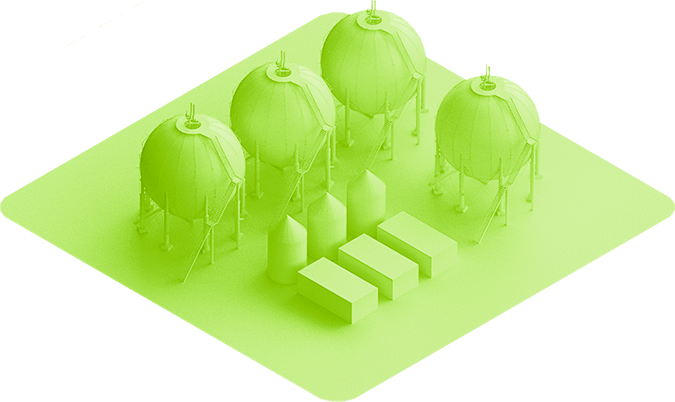 Using the vertically integrated model, we are able to significantly reduce our dependence on suppliers and raw material prices fluctuation. Besides economic efficiency, vertical integration allows us to implement a strict biosecurity policy, control the quality of raw materials and final quality and safety of products - right up to the point of sale. We use our own grains for feed production, enriched with the protein, vitamins, and minerals necessary for the healthy growth of our chickens. 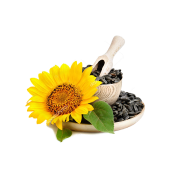 MHP is the only company in the world to produce protein from sunflower seeds. This ensures cost efficiency and complete quality control of the feed for our chickens. 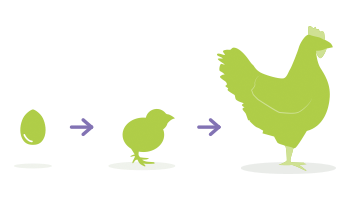 We use our own crops to produce feeds for our chickens, providing them with all the proteins, vitamins, and minerals they need. 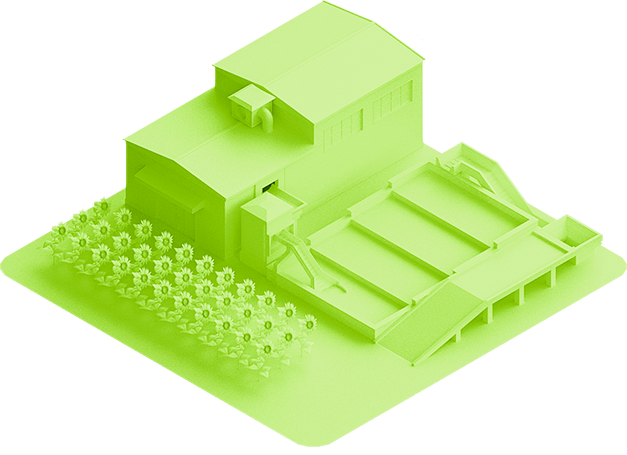 Breeder farms are the first stage in our vertically integrated system. Two MHP breeder farms receive one-day-old chicks from the best German manufacturers. These chicks become the parent stock for our broiler chickens. Eggs produced by our breeder flocks are transported to hatcheries located at our farms. Our sites are fully integrated facilities, which include our own breeding farm, a new hatchery, a modern processing facility, and a fodder plant. In December 2012, MHP launched its first biogas station with a capacity of 5 MW. It is the first biogas station in Europe operating on chicken manure and poultry farm waste with such a capacity and level of technology. The company manufactures a range of different meat products from smoked chicken to premium beef and foie gras products. 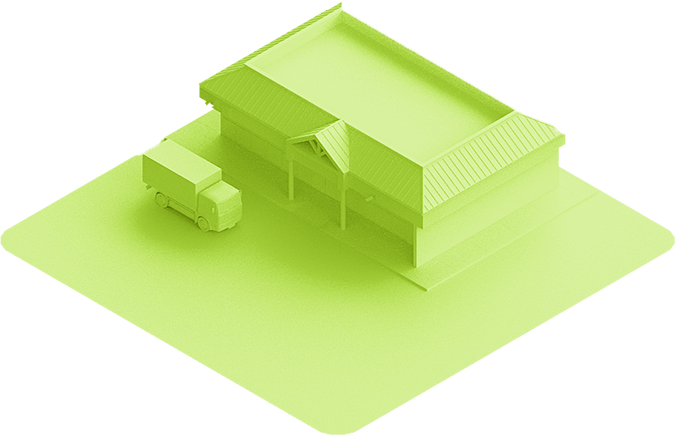 Distributing our chilled and frozen chicken via our 11 distribution centers and more than 450 refrigerated vehicles gives us quality control right up to the point of sale. Our sophisticated international logistics allows us to deliver fresh and high-quality products to all the countries in our sales network. 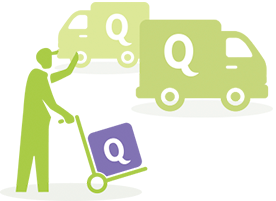 Our products are currently sold through own franchised stores (in Ukraine), as well as other stores and supermarkets. MHP production facilities are certified in accordance to BRC Global Standard (Issue 7). The starting point for an effective food safety plan is the commitment of senior management to the implementation of the BRC Global Standard and continual development. This includes providing adequate resources, effective communication, system reviews, actions taken and opportunities for improvement. The BRC Global Standard requires the development of an effective hazard analysis and critical control point (HACCP) program based on the requirements of the internationally recognized Codex Alimentarius system. This section sets out the requirements for the management of food safety and quality. This includes requirements for product specifications, supplier approval, traceability, and the management of incidents and product recalls. 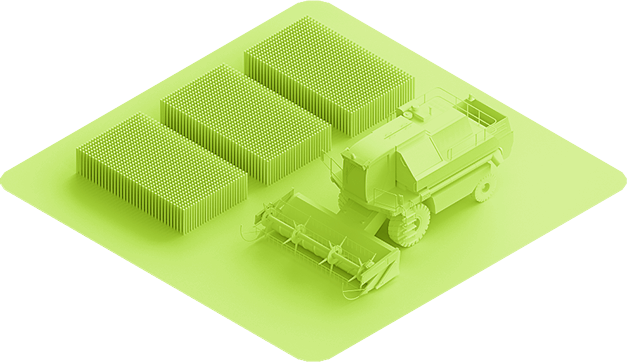 This section sets out expectations for the production environment including the layout and maintenance of the buildings and equipment, cleaning, pest control, waste management and foreign body controls. 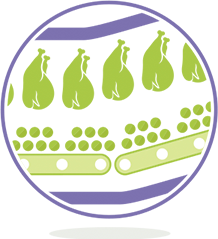 The requirements for product design and development stage including allergen management, product and ingredient provenance, product packaging and product inspection and testing. The establishment and maintenance of safe process controls, weight/volume control and equipment calibration, and ensures the documented HACCP plan is put into practice. This section sets out the standards needed for staff training, protective clothing and personal hygiene. 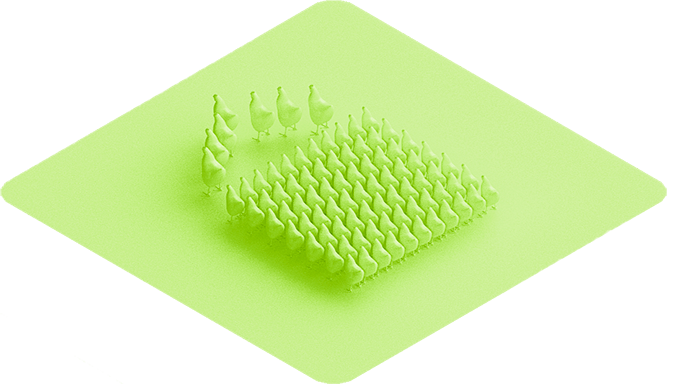 MHP as one of the world’s most vertically integrated companies, thoroughly controls the whole chain of the poultry production process. 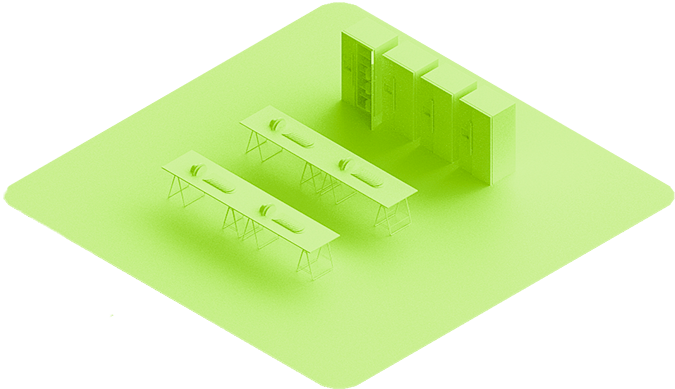 Using a vertical integrated business model, allows us to guarantees constant high quality standards for our products and full quality control during the production process. MHP food trading is MHP’s distribution center headquartered in Dubai, UAE. The company was established in 2016, to UAE market and strengthen its presence in the Middle East. The team of MHP food trading applies our global expertise, taking into account local market specifics. Adaptability and flexibility are necessary for successful global business acting locally. It requires clear and open communication, both with colleagues and with clients. MHP cultivates 370,000 hectares of rich black soil in Ukraine. 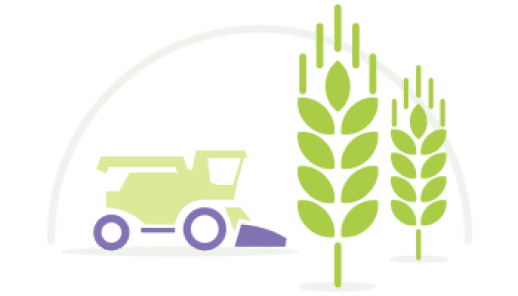 We grow corn, sunflower, wheat, rapeseed, and soybean. Corn and sunflower seeds are used at our own plants in feed production. Our own grain production satisfies 100% of the company’s corn and 26% of its sunflower needs. MHP is the only poultry producer in the world that applies unique technology to produce protein from sunflower seeds. This ensures cost efficiency and complete quality control of the feeds produced for our chickens. 100% of fodder is produced at 4 MHP fodder plants. The first stage of poultry production starts at the breeding farms, where we rear our own parent stock. MHP’s breeding farms receive one-day-old chicks from the best German manufacturers. These chicks become parent stock for our broilers. Eggs produced by MHP’s breeder stock are transported to hatcheries located at the chicken farms. 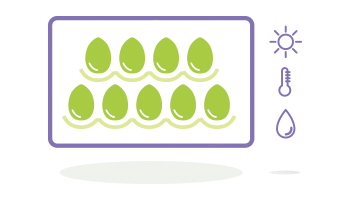 After sorting, eggs are placed into an automated incubator that maintains the necessary conditions for the entire incubation period (21 days). Newly hatched chicks are vaccinated and transferred to the poultry houses. All poultry houses are carefully cleaned and prepared before the chickens arrive. The venues are disinfected and gassed, the floor layer changed, and left for sanitation. Conditions at the broiler farms are as close to natural as possible. The chickens are not caged and can roam freely in the spacious poultry houses, on the natural layer of sunflower grouts. Our meat production enterprises include modern incubators, rearing sites, processing facilities, and feeder plants. This helps us control each production stage, significantly reducing the risks of contamination and disease. POULTRY SLAUGHTERING UNDER THE SUPERVISION OF AND CONTROL BY THE HALAL CERTIFICATION CENTER. The poultry slaughtering process is carried out under the constant supervision of and control by the Halal Certification and Research Center. Poultry killing is as quick and painless as possible, and the blood flows down immediately. This method makes the slaughter relatively painless, and prevents harmful substances from accumulating in the meat. Meat processing is an intrinsic part of our integrated business model. The Company produces a wide range of processed meat products. 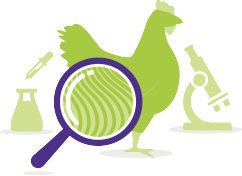 Chicken meat produced at our own facilities is one of the main ingredients in our processed meat products – accounting for over 50% of its composition; the rest is beef, veal, and others. 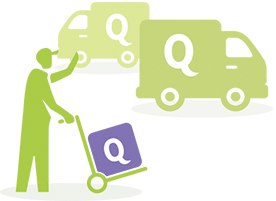 Our sophisticated international logistics allows us to deliver fresh and high-quality products to all countries within our sales network. Our poultry farms run in a closed cycle and consist of broiler farms, hatcheries, and modern processing facilities. Animal health is of the utmost importance for our production. Each MHP poultry farm employs experienced veterinary and livestock specialists to provide the animals with a balanced diet with clean fresh water and no steroids. MHP own meat-processing plant Lehko uses exclusively raw materials produced at broiler farms within the MHP holding. 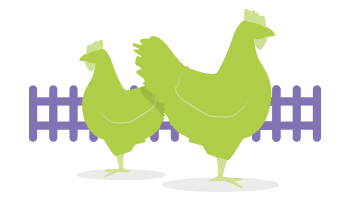 The major part of our convenience food production (up to 90%) consists of chicken meat. 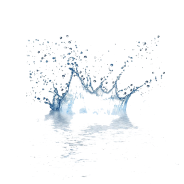 All raw materials pass mandatory organoleptic, physiochemical, and microbiological controls. Each batch of raw materials has a barcode, which ensures traceability. MHP’s Lehko convenience food plant has implemented a Hazard Analysis and Critical Control Points system (HACCP). According to this system, storage of raw materials is the first Control Point. Temperature is precisely controlled every 15 seconds and, in case of deviations, actions for efficient resolution of the problem are taken according to the HACCP algorithm. The storage conditions of spices and breading are also strictly monitored. All raw materials are tested with metal detectors to minimize the risk of metals getting into the cooked product. Raw materials are grounded with the required lattice diameter and transferred to the mixer, where additional ingredients are added. Prepared raw materials are sent to the storage chamber – the second Critical Control Point. 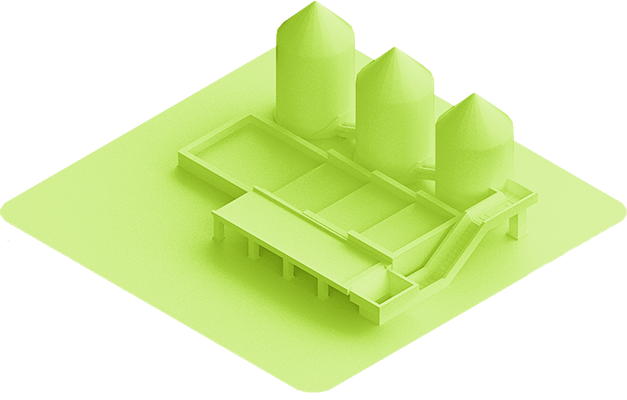 Modern freezing technologies mean the Lehko plant avoids the use of preservatives while maintaining the product’s exceptional taste throughout its shelf life. The Lehko plant is equipped with three production lines for frozen, ready-to-eat meat products. Product forming and portioning equipment is supplied by CFS and Marel. Steam-cooking takes place in a Cookstar bi-zonal spiral oven, which ensures the products' juiciness is preserved. MultiDrum equipment makes breaded products, baked in marinades. Finished products are transferred to a TempoFROST spiral freezer for shock freezing at minus 30 degrees. 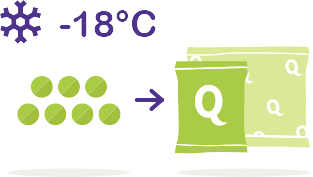 During packaging, the core temperature of products should not exceed minus 18 degrees. This is the fourth Control Point. 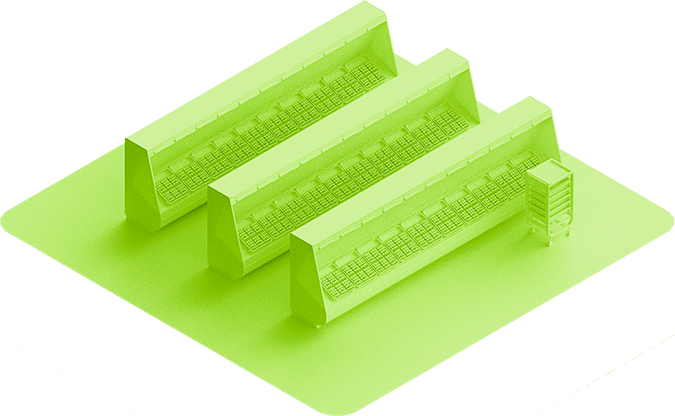 Here, the products are packed in trays on horizontal PowerPack equipment, in plastic bags on vertical SmartPacker equipment, or weight-packaged. The weight is controlled with Checkweighter equipment. All products pass mandatory tests with a metal detector. Three warehouses represent the fifth Control Point, where the temperature also does not exceed minus 18 degrees. 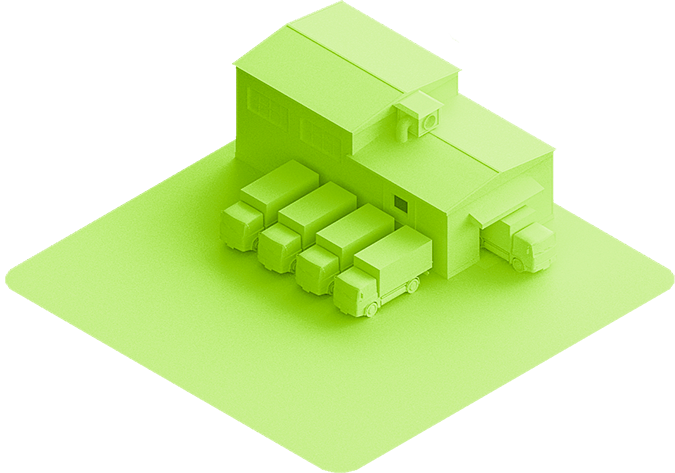 11 distribution centers and MHP’s own fleet of trucks ensure prompt delivery in auto-refrigerators under special temperature conditions and with strict vehicle sanitary control, meaning the consumer receives fresh produce of the highest quality in the shortest possible time. Our sophisticated international logistics allows us to deliver fresh and high-quality produce to all countries within our sales network. Corn is the main cereal, which we use to feed our adult chickens. 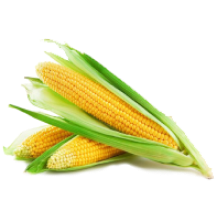 Corn contains a lot of protein, carotene, and fiber.In addition, it is rich in vitamins C, B1, B2, PP, as well as minerals, unsaturated acids, and aminoacids. Sunflower grouts is a very important component of our chicken feeds. It is rich in nutrients and contains many good fats, as well as Vitamin E, phospholipids, and fiber. 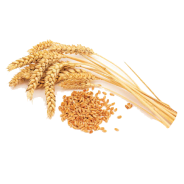 Wheat is very rich in proteins, and is particularly important for parent stock. 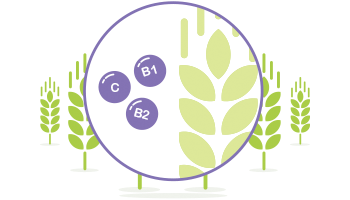 Wheat also contains the necessary aminoacids, it is a source of group B vitamins, and vitamin E.
Rapeseed is one of the main sources of protein in our feeds. Our specialists use this cereal to feed our chickens because its good fat and vegetable protein content is higher than in any beans. 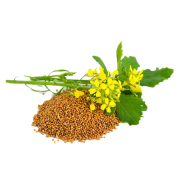 This plant is rich in fiber, and contains a number of irreplaceable aminoacids. Clear water is just as important for a healthy chicken, as a high-quality feed. That is why we use our own wells, and constantly control water quality in our own labs.